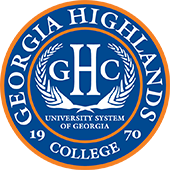 Cathy Furtado and other Georgia Highlands College nursing students funneled into a small room at Heritage Hall Wednesday morning where several disaster victims were awaiting help during a disaster training simulation with the Floyd County Police Department and other emergency personnel. The disaster victims were played by other nursing students who were given unique health problems, injuries and personality traits for the nursing students to deal with. Some were unresponsive. Some were “bleeding.” Some were yelling. But Cathy and her fellow classmates knew exactly what to do. Cathy stated she was very glad GHC and local first responders put her class through the disaster training exercise. Nursing student Betsy Chamblee echoed Cathy’s remarks. Betsy, who worked during the exercise to apply gauze and help victims out of the disaster area, said this was an experience she will never forget. The disaster drill took part in several different phases. One was instruction in how to respond to certain types of incidents that might involve police and first responders – sharing the “how” and “why” certain protocols are in place. 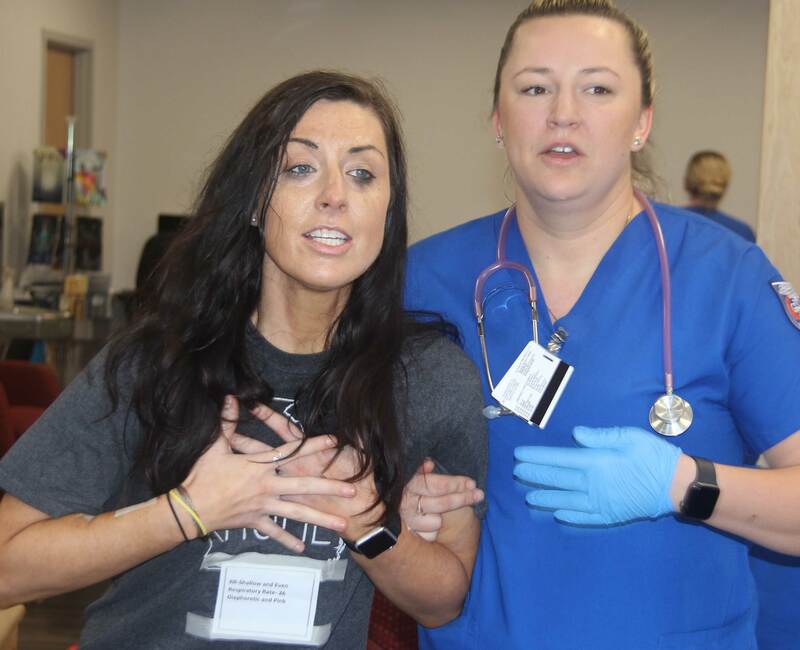 The final phase included nursing students working through the triage scenario while assessment took place by instructors and public safety observers.